Everybody wants to own a sports car, but more often than not, the vehicles are often priced outside of our budget. Luckily, there are several affordable racers on the market, and they all offer their own combination of power, speed, and luxury. If you're looking for the best new car prices, take a look at our list of the five least-expensive 2016 sports cars hitting the market. We're certain you'll find a vehicle that suits all of your needs... and your budget! The FR-S has added a handful of exciting new features to their 2016 model, making the racer an even more incredible bargain. The seven-inch audio screen is now bigger and offers better resolution, and the navigation system has also been revised, assuring you'll never get lost. You'll also have access to the now-standard backup camera, which gives you a clear view of the back of your vehicle. A minor touch of class has been added to the interior, where a "high brightness silver color" has been added to the steering wheel bezel, shift bezel, door grips and center console side ornament. This makes the already-luxurious interior even more attractive. The exterior will also see several changes, including the addition of two new colors: Ablaze Red and Oceanic Blue. 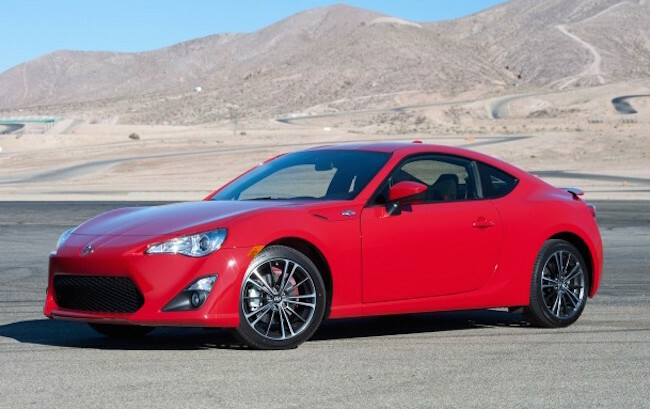 Our favorite change, however, is the price tag, as the six-speed manual transmission FR-S comes in at $25,305. To upgrade to the "six-speed sequential automatic transmission with paddle shifters and Dynamic Rev Management technology," it will cost you an equally affordable $26,405. It's hard to "focus" in on one attribute when it comes to the Ford Focus, as you could commend the engine, safety features, and styling. Therefore, we're just going to discuss all three of the facets. The 2.0-liter EcoBoost engine includes direct-injection and twin-independent variable-cam shaft timing technology, which should help the engine deliver its 26 city/36 highway fuel economy. The engine is also flex-fuel capable, meaning it can take unleaded gasoline, E85 (85-percent ethanol/15-percent gas), or a combination, which allows for maximum flexibility. The Safety Canopy side-curtain airbags now come standard in the Focus' first and second row, as do the dual-stage front airbags and the front-seat side-impact airbags. The brand also included a number of technologies that help prevent accidents, like the AdvanceTrac electronic stability control and the Tire Pressure Monitoring System. There's also a SecuriLock Passive Anti-Theft System, assuring that everything in your vehicle will stay safe and secure. 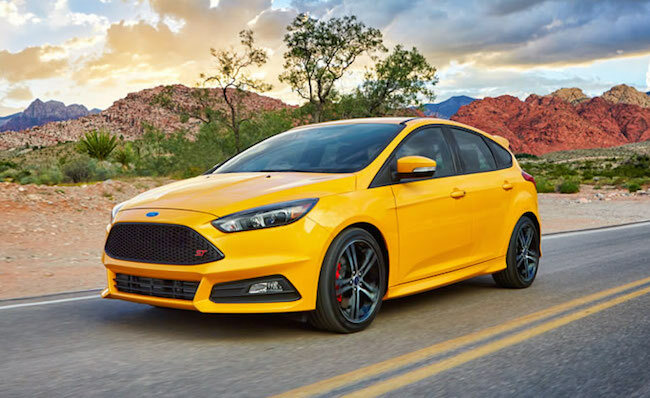 The standard Focus starts at $17,351, or customers could opt for the pricier models, which include the SE sedan ($18,396), SE Hatch ($18,869), Titanium sedan ($22,842), Titanium Hatch ($23,315), ST ($23,975), Electric ($28,704), and RS ($36,605). This tiny vehicle (90.9-inch wheelbase, 151.1-inch length, 68.3-inch height) packs quite the punch, and you'll also receive a very enjoyable driving experience while you're behind the wheel of the agile MX-5 Miata. The engineers wanted to produce a vehicle that was light weight, offered rear-wheel drive, and maintained "near-perfect balance." They certainly succeeded with this 2016 model, but that won't even be the first thing to catch a customer's attention. Instead, they'll probably be focused on the "taut, muscular design," which includes LED daytime running lamps (helps "emphasize the car's wide stance"), heritage lamps in the back, and the "athletic" profile. If any car on this list truly shouts "sports car," it's the 2016 MX-5. As we previously mentioned, the Miata is certainly a smaller vehicle, and that was an intentional design choice by the engineers. 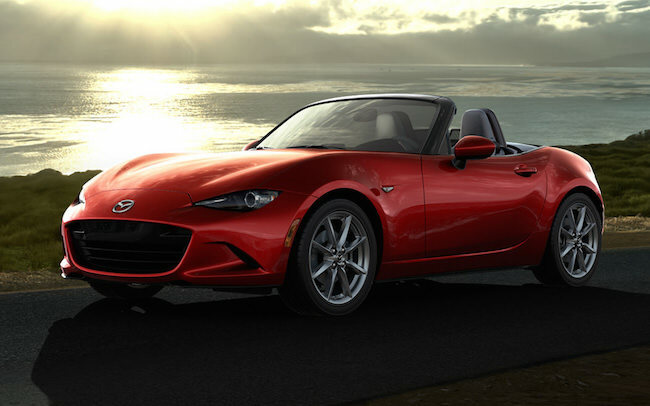 With the help of the SkyActiv Technology, the MX-5 is 148 pounds lighter than the previous generations, which helps improve the vehicle's drivability. Furthermore, the aluminum frame led to a weight loss of nearly 20-percent, while the six-speed manual transmission has been revamped to be smaller and lighter. With such a light vehicle, you should expect an incredibly enjoyable ride. The SkyActive-G 2.0-liter DOHC 16-valve four-cylinder engine pumps out 155 horsepower and 148 lbs-ft of torque, but we bet it'll feel even more powerful when you're driving the 2,332-pound car (2,381-pounds if you opt for the automatic). To put it over the top, the engine delivers a 27 city/34 highway mile per gallon fuel efficiency. How much is the vehicle? The standard Sport model starts at a very reasonable $24,915, and the top-of-the-line Grand Touring costs $30,065. 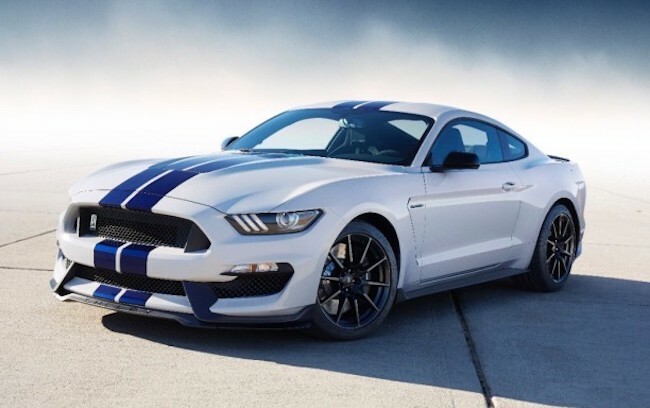 Another Ford tops this list, but the Mustang is truly known for its power. With four optional engines, a potential buyer can truly have the vehicle's mechanics cater to their individual needs: a 3.7-liter engine (300 horsepower, 280 ft-lbs of torque), 2.3-liter EcoBoost engine (310 horsepower, 320 ft-lbs of torque), 5.0-liter V8 (435 horsepower, 400 ft-lbs of torque) and the 5.2-liter V8 (526 horsepower, 429 ft-lbs of torque). All of these systems are accompanied by available launch control and the exclusive Electronic Line-Lock, which will only help enhance the sports car's performance. The engineers also included a number of other functions to help spice up the driving experience. The driver can choose between four driving settings (normal, snow/wet, sport and track) to better cater to their environment, and the vehicle automatically will adjust the handling and response to better accommodate the conditions. The mechanics also include a fully independent rear suspension, a double-ball-joint front suspension, pitch control (comes in handy during hard acceleration or hard braking), and reduced body roll (improves the ride's feel). 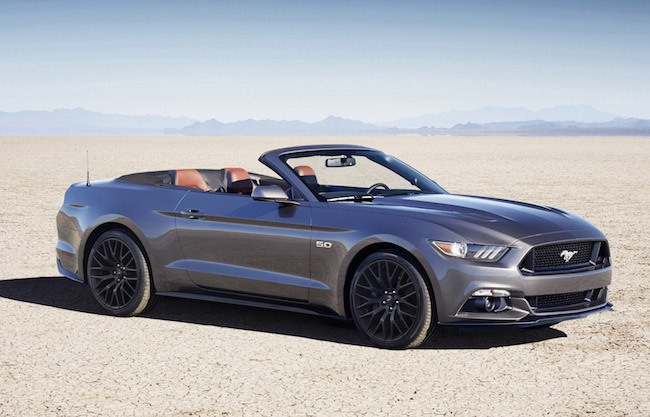 While all of that is certainly impressive, nothing holds a candle to the Mustang's incredible $23,098 starting price. With a price tag that's south of $15,000, you wouldn't expect this kind of luxury from a vehicle. 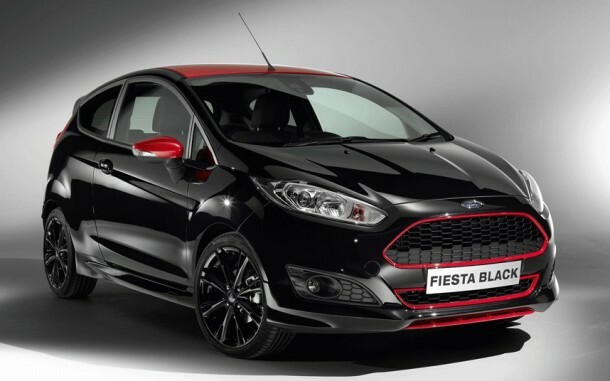 In fact, when you'd come across the Fiesta's "distinctive character lines" or "sleek hood," you may assume that the vehicle is out of your budget. Luckily for us, it's not. The Fiesta is full of technological feats, satisfying even the biggest tech geek. The brand has introduced their new SYNC 3 system, which uses voice-activated technology to supply the driver with whatever information they may need. The easy-to-read touch screen allows the driver or passenger to access their phone, radio, or navigation center, and the high-speed performance means you'll get that required info in no time. Furthermore, the voice software means you can play with the system without ever having to take your eyes off the road. Other available technological features include a rear view camera (allows drivers to see any object behind them), hill start assist mode (prevents vehicle from rolling backwards while driving uphill), the available MyKey function (driver can constantly monitor their vehicles), and a Sony audio system (featuring eight high-quality, 100 watt speakers). Of course, we also have to mention the 1.0-liter twin independent variable cam timing engine, which delivers 123 horsepower, 125 ft-lbs of torque, and a 31 city/43 highway mile per gallon fuel efficiency.